The destruction of confidential data and documents is part of the cycle of any business. No matter whether you need a one-off cleanout or a regular collection service, you are just wanting to get rid of sensitive documents, hard drives or other magnetic media, our confidential shredding services offer you peace of mind from the worry of data theft, along with compliance with government regulations, and environmentally-friendly credentials. Fraudulent activity and identity theft is rampant, and only looking to increase. Protecting your private and confidential information has never been more important, for both paper and digital storage. Confidential data includes everything from names and email addresses of your contacts or employees to sensitive information on salaries, through to confidential proposals. This data must be destroyed securely or it can be used for crimes ranging from individual identity theft to large-scale fraud. Using a full service data destruction company can allow you and your employees to focus on what your work, without worrying about document destruction. 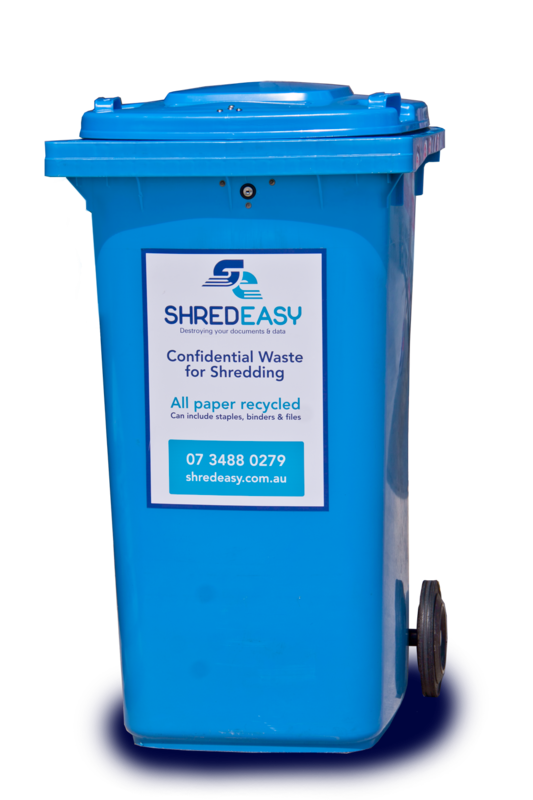 ShredEasy can offer onsite or offsite mobile shredding services for your business, regardless of size and frequency. By shredding your data properly, you make it impossible for it to be used for fraudulent purposes. You protect yourself, your customers, and your business. Plus, we shred documents and dispose of the waste in a safe and environmentally friendly way. By using a professional document shredding and destruction firm, you are able to ensure compliance with crucial data protection laws. At ShredEasy, we issue you with a Certificate of Destruction as solid proof that your data has been properly and securely destroyed. The recycled pulp that we create from document shredding is baled up and re- used for packaging and other purposes. Your clients will see that your business acts with responsibility and accountability by following a process that support the future of our planet. And if having an environmental policy is important to your branding, using ShredEasy to manage your waste matter can only add value to that brand equity. 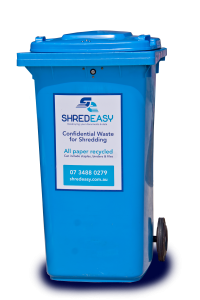 With our regular collection shredding services, we provide a special container for your office, offering both convenience and security. For your confidential documents, we can provide a range of secure containers from large wheelie bins to smaller lockable cabinets. Whichever container you choose, they are on loan to you for as long as you keep the regular service. Once you have the secure container on premises, we can arrange a regular pick-up as frequently or as infrequently as suits you. Need to have a major cleanout? Is sensitive data taking up space in your office, waiting for someone to destroy it page by page? Get the job done quickly and securely with our one-off clearance. ShredEasy will supply you with all the bags and containers to get rid of documents, hard drives, disks and anything else that’s taking up your valuable space.